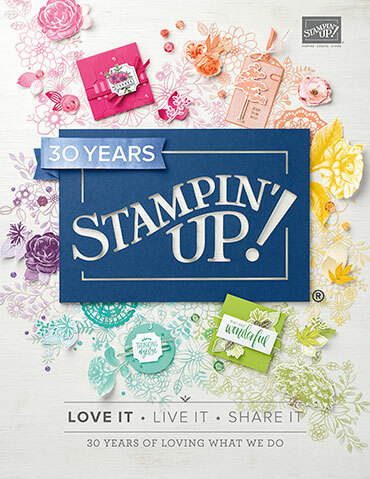 It is that exciting time of month again ... the Stampin' Up! 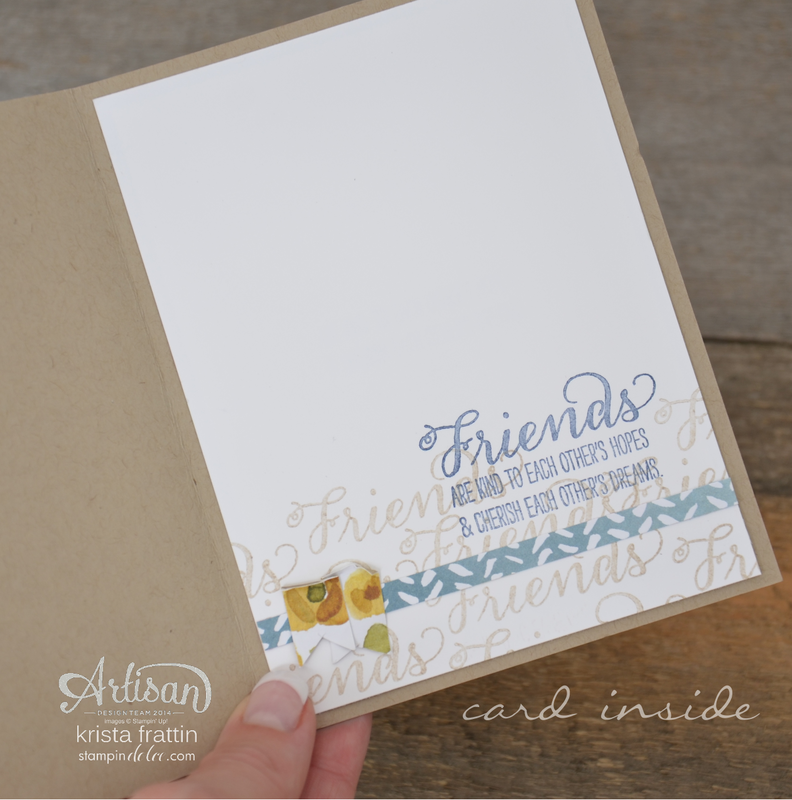 Artisan Design Team is sharing our monthly Facebook Projects. 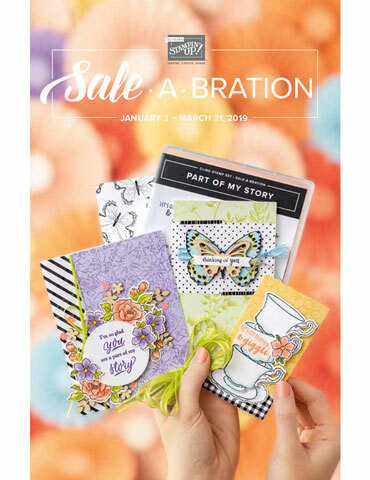 I instantly fell in love with this paper and stamp set when I opened the Artisan box. I have used it a couple of times now. (You may remember the post about my party decor for my demonstrator team). This week I have an adorbs card for you! I used Night Of Navy to stamp the greeting. It was listed in the color combo for the designer series paper but I felt like it was a little too dark. 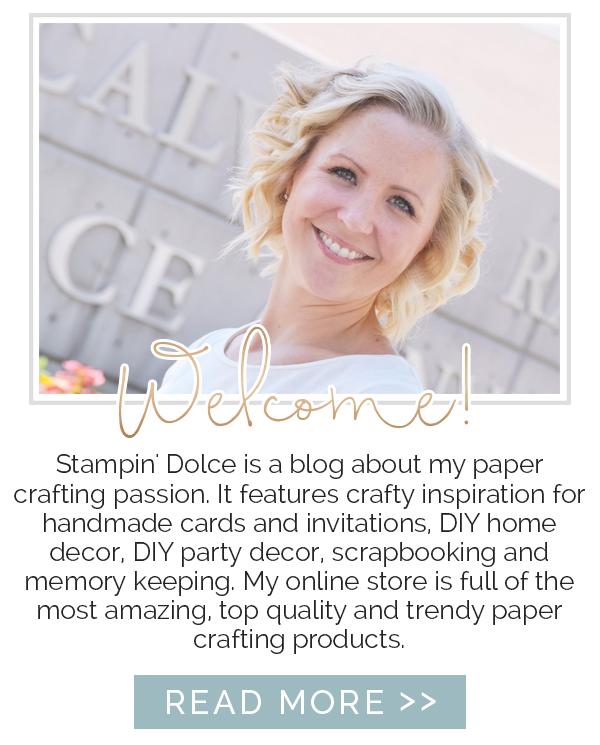 I inked the stamp, stamped off on a scrap piece of paper and then stamped my Whisper White banner (with out re-inking in between stamping). This gave the perfect shade but a teeny bit lighter. Ink only the "friends" portion of the stamp with Crumb Cake. This is super easy to do with a Photopolymer stamp set. Simply ink the stamp on the edge of the ink pad so that only the "friends" is inked. Like above, I wanted a lighter stamped image so I used the stamp off technique. I inked the Honeycomb Textured Impressions Embossing Folder with Hello Honey ink and used that as a stamp. I did not run it through the Big Shot, just stamped with it on the Shimmer White Cardstock. Next on the bog hop is Mercedes Weber. 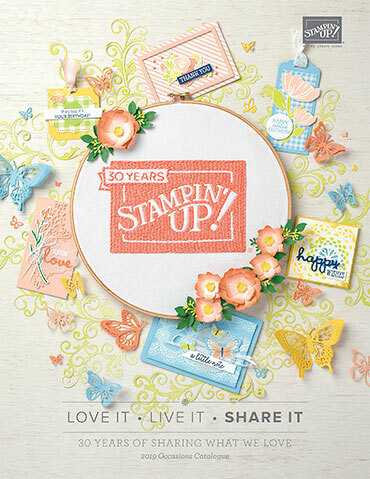 with this stamp set and designer series paper!